*on wet clothing left in the washing machine. 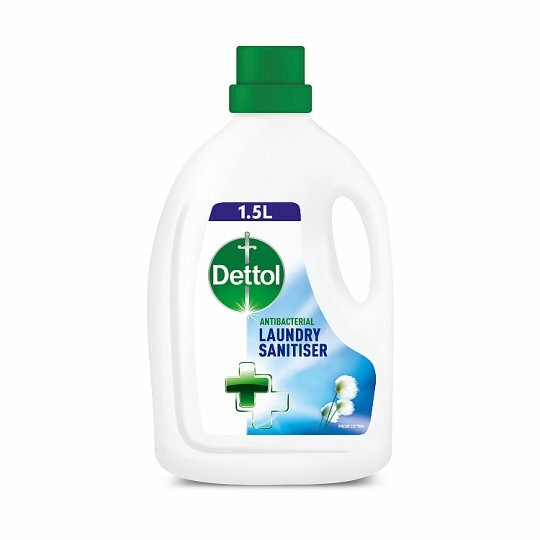 Dettol Laundry Cleanser is an additive that kills 99.9% of bacteria giving odour-free freshness : 1. Kills 99.9% of bacteria, even below 20ºC so that you can be confident that your laundry is hygienically clean every time, whatever temperature you wash at (proven to work in rinse cycle temperatures as low as 15ºC) 2. Gives odour-free freshness for up to 12 hours. It doesn't just cover up malodour but eliminates odour causing bacteria at source.